I have a fondness for the stars, for staring up at the inky night sky and the constellations, trying to name a few, spotting Orion's Belt, Cassiopeia, finding the signs of the Zodiac and wondering about those that used them to navigate. There's a mysterious feel to the stars, how they've been viewed before and what symbolism was made of them. 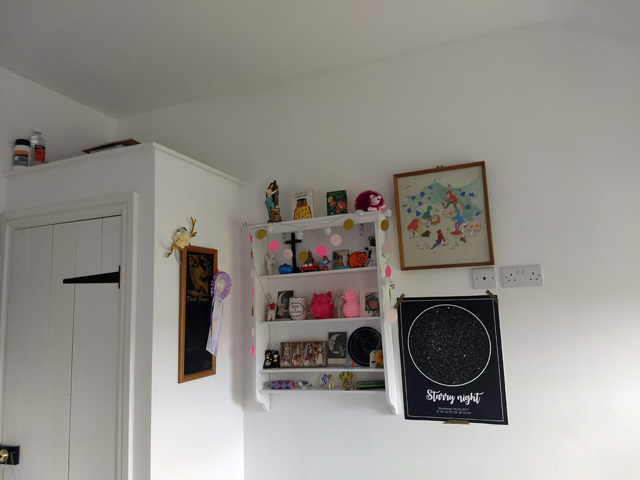 I have a few stargazing related items around the house, they add a vintage scientific feel and I'm always on the look out for anything with a celestial style. 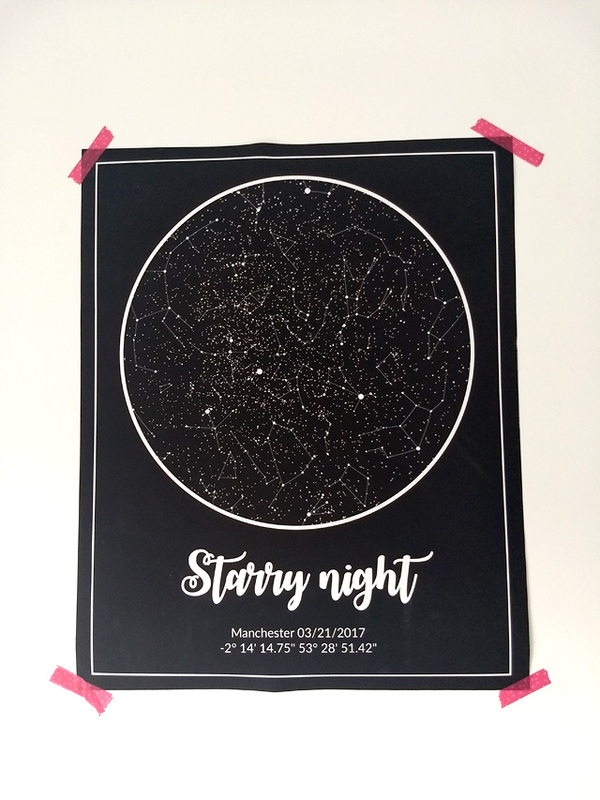 However, it is hard to come by so I was really pleased to hear of Custom Star Maps by Modern Map Art who produce posters of the night sky on a special date to you, so perhaps an anniversary or your birthday, which is what I decided upon. You can have the place name added and choose a title and in addition can select between black or white, navy or grey posters in a variety of sizes. Such a cute way to commemorate something and a lovely gift. 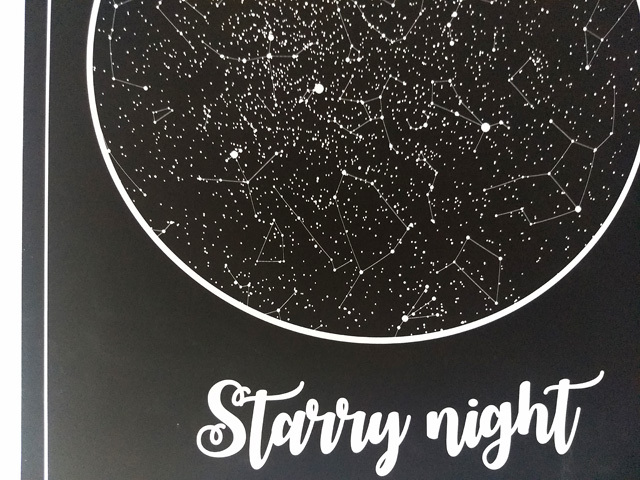 I have put my poster up in my new blogging room, hopefully it will be the start of more starry home pieces to create a bit of twinkle. Totally loving how it looks against the white walls, the poster is good quality and has a gorgeous matt finish to it. I have a few ideas gathered on a starry Pinterest board of vintage space posters and rocket cushions to add to the room. *I received a Star Map for the purpose of the review, thoughts and opinions my own.